This exclusive African safari is designed to make the most of what Kenya has to offer. 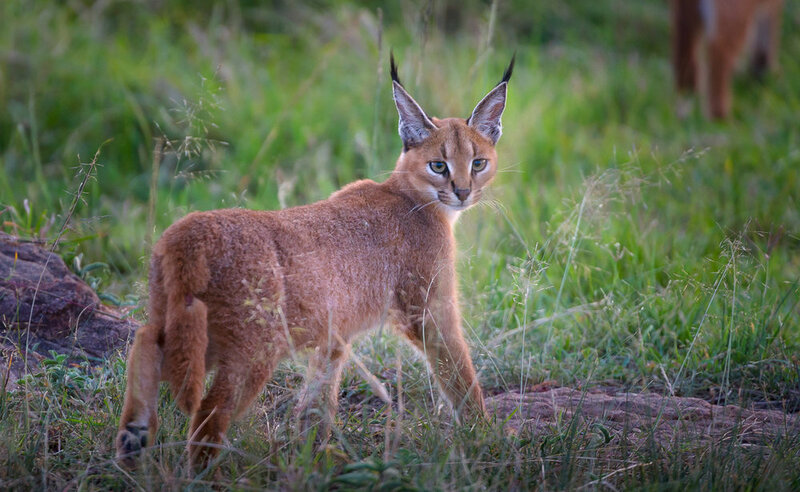 You'll experience the Maasai Mara in February when the grasses are green, the hills are lush, and the wildlife is active. 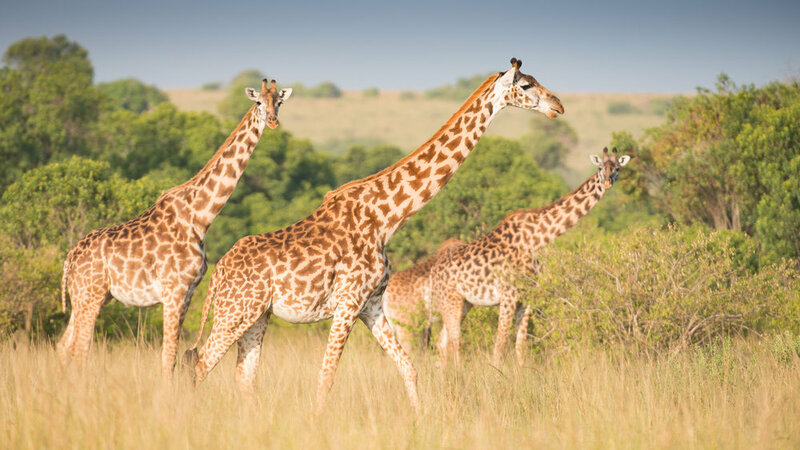 You'll be lead by Muench Workshops' very own Marc Muench, and he is expertly assisted by local guides who live in the bush. This safari is all about photography. Marc will be sharing his expertise in wildlife photography in his favorite landscape, the Northern Serengeti, Lewa Downs, and Samburu. Our first camp will be in the heart of the Mara along the Mara River, where the sound of hippos snorting will put you to sleep—or keep you awake! After four amazing days in this wildlife filled region, we'll fly by private charter to Lewa Downs, where we will photograph elephants in the swamp at the base of Mt Kenya. 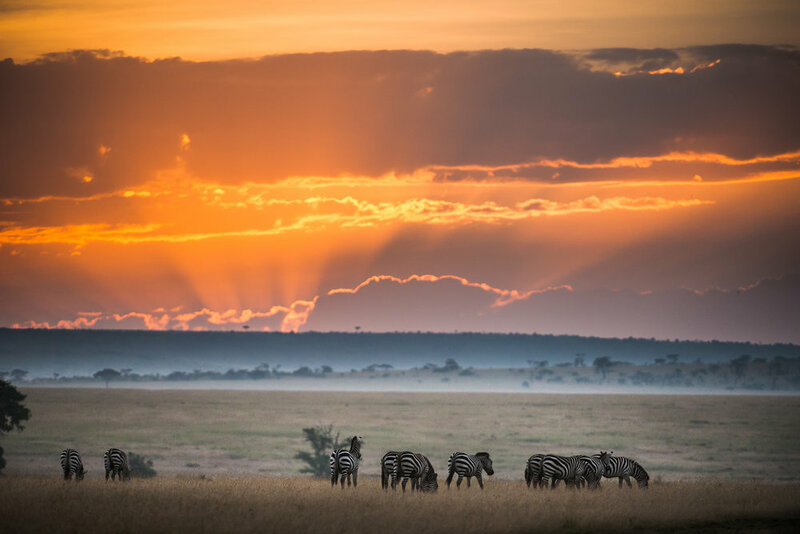 Lewa Wildlife Conservancy is located in the central region of Kenya and comprises an area of over 250 square kilometers and boasts an amazing variety of wildlife, including some not found anywhere else in Africa. 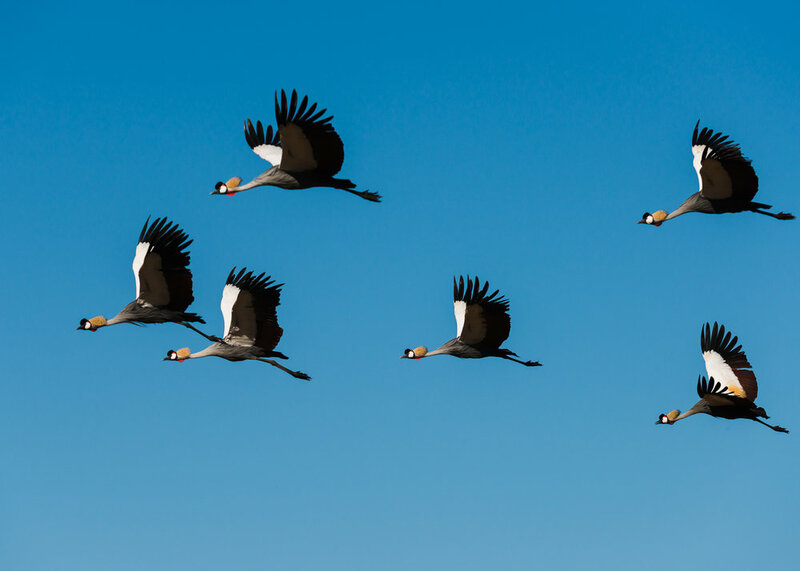 Next we'll fly to Samburu, where you will photograph the local Big Five: Grevy's zebra, with their smart pin-stripe pattern; gerenuk, and their impressively stretchy necks; beisa oryx, with pointed horns and distinctive markings; reticulated giraffe, clad in attractive coats and Somali ostrich, a feathery delight. We'll also have the opportunity to spend time with the local Samburu people who have inhabited the region for many years. This is an amazing opportunity to experience and photograph the best of Kenya, in an exclusive small group, led by a world-class professional photographer and instructor. Oh and if interested, this workshop pairs up perfectly with our Tanzania Safari, which starts right afterwards. February 3, 2019: The group will all be aboard the same flight from Amsterdam to Nairobi. Upon landing we'll all be swept through Immigration and baggage collection where we can board our private charter flight to the Maasai Mara's Ol Kiombo Airstrip. On arrival, we will be met by private guides from Naibor Camp and transferred to the camp. You will get settled into your luxury tent, positioned amid the trees to maximize privacy and under the branches to enjoy the cool shade. Enjoy an afternoon tea by the river before we head out for an evening game drive. Each night we will be dining in camp or under the stars with the sound of the river and lions nearby. Marc will be spending time with everyone in camp, making sure their cameras are set properly for wildlife photography, and reviewing images for composition and processing techniques. 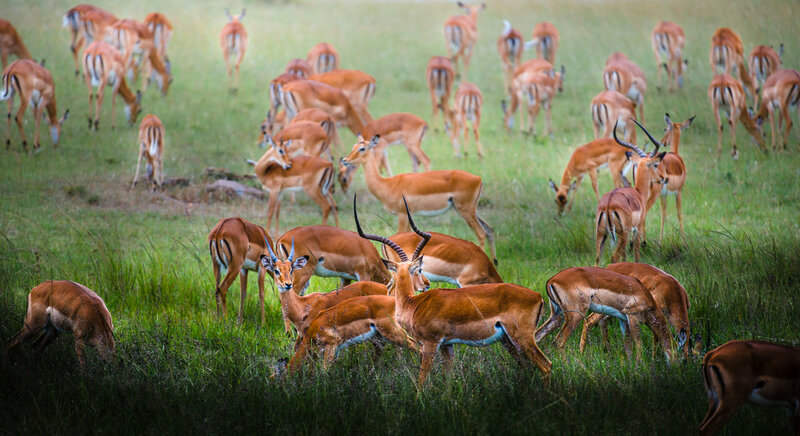 February 4–7, 2019: The Maasai Mara comprises 1,500 square kilometers of seemingly endless plains of short sweet grasses, ample feeding for the region's plentiful herbivores. Two rivers, the Mara and the Talek, race through the reserve, providing sustenance for the wide range of wildlife. All of the “big five”—lion, leopard, elephant, Cape buffalo and rhinoceros— plus loads of other carnivores, and over 470 resident and migrant bird species surround the camp. Each day we'll wake early for coffee, tea, and a snack before heading out before sunrise to look for wildlife. These morning game drives are filled with anticipation, excitement and photography. We'll spend a long morning out while having breakfast in the bush, before heading back to camp for a short rest and lunch. After a nap under the shade, enjoy an iced or hot tea by the river. In the early afternoon we'll be out again looking for more opportunities to photograph and observe the wildlife. When we get back to camp, freshen up with a hot shower before a cool cocktail and conversation around the camp fire. The day is never complete without the amazing dinner in camp before you rest for the next day. February 7, 2019: This morning we'll be transferred to the airstrip and fly again by private charter to Lewa Downs. On arrival we will be met by our local guides and driven to Sirikoi, our lodge for the next two nights. Sirikoi is in the Lewa Wildlife Conservancy, Laikipia. The lodge is situated under large acacia trees and close to a busy waterhole frequented by much wildlife. We'll have time for an afternoon tea before heading out on our evening game drive. Before dinner, enjoy another hot shower and cocktails by the fire. There will be time to review images and discuss composition as a group, and one-on-one with Marc. After dinner enjoy the stars and views of Mt. Kenya in the distance. 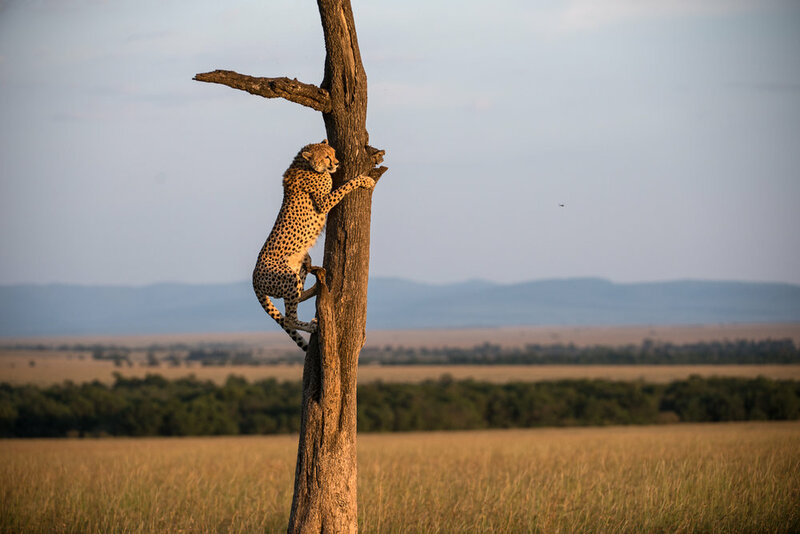 February 7–9, 2019: Lewa Wildlife Conservancy is located in central Kenya and comprises over 250 square kilometers boasting excellent wildlife. Formed in 1995, it hosts an amazing number of bird species as well. Our day will begin early with coffee, tea and a light snack before we head out to photograph the wildlife. 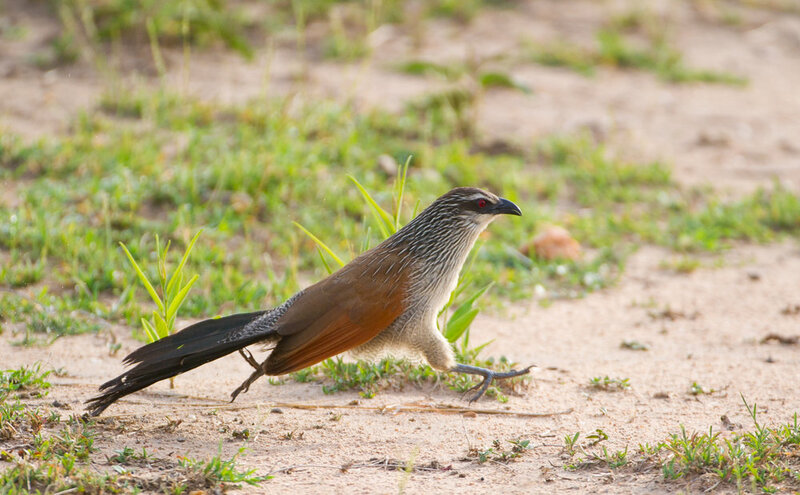 Depending on the conditions and wildlife sightings, we may have breakfast out in the bush under the Acacia trees. There will be time again in the afternoon for a nap and some hot tea before we venture out again for the evening game drive. When we return, enjoy a hot shower in your luxury room, a cool cocktail and time by the fire, and yet another amazing dinner. February 9, 2019: Following an early game drive and breakfast, we'll be driven to the airstrip for our flight to Samburu. On arrival into Samburu we'll be met by our local guides from Elephant Watch Camp and transferred to camp. After check-in and orientation, we'll head out for an afternoon game drive to see the amazing landscape spotted with elephants, Grevy's zebra, gerenuk, beisa oryx and reticulated giraffe. February 9–12, 2019: Located 350 kilometers from Nairobi and totaling 104 square kilometers, Samburu National Reserve is situated on the banks of the Ewaso Ng'iro River. Elephant Watch Camp is simple yet intricate, where great thought has gone into the smallest details. The owners have over 50 years of experience studying the elephants here, which is why they are on first name terms with the local herds. We'll have early morning and afternoon game drives with amazing views of the landscapes. The warm days will be contrasted with cool nights and great sleeps. The food is all prepared with great care and served with charm. While in camp we'll have a chance to meet and photograph the Samburu people, native to the region. Along the river banks, there is abundant acacia forests in addition to the groves of Doum Palm that provide both food and shade. Elephant Watch Camp is a joy to behold; all the materials are local, hence the camp's status as an eco-property. February 12, 2019: After our final morning game drive and breakfast, we'll head back to the airstrip to board our private charter back to Nairobi for connecting flights home. Tips for guides and camp staff. International air travel. Passport and visa fees, if any. Medical Evacuation Insurance (required). Travel Medical and Trip Cancellation Insurance (optional, but recommended). Alcoholic beverages. Anything not listed specifically as included. Your deposit of $5,500 will hold your place in this workshop. Second payment of $5,000 will be due by June 1, 2018. Final payment of $4,995 will be due November 1, 2018. All payments for this workshop are non-refundable, which is why we recommend trip cancelation insurance. All of Muench Workshops' other Terms and Conditions apply. This photographic safari is strictly limited to 6 guests, so if photographing the amazing wildlife and landscapes of Kenya with a small group and the best photographic guides is on your list, click the "Sign Me Up!" button now and we'll see you in Kenya!